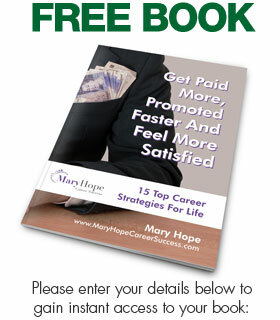 You are here: Home » Blog » Uncategorized » First Impressions – manage and manage them! First Impressions – manage and manage them! First Impressions? is what you see what you get? 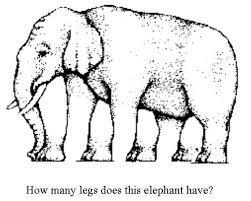 How many legs does this elephant have? Hard to tell and sometimes you really do need to look twice or three times to see the person behind the tattoo or the lion in the sheep’s skin. It takes just one-tenth of a second for us to judge someone and make our first impression, and our confidence in impression formation increases with the time taken to form the impression. Not only do we take milliseconds to work out what something is when we first see it, we also decide whether or not we like it! Two things reminded me of the power of initial impressions, a recent poll on Linked In suggested that 25% people make a decision in an interview in the first few minutes of the interview. Then a candidate who planned to call the Chief Executive of an organisation he was applying to was taken aback when I said ‘you never get a second one chance to make a first impression routine’. He was really amazed. It had not occurred to him that this casual conversation could have a decisive effect on his career. Given that people are forming impressions of us all the time, not just in interviews but in meetings, in the corridor, when we meet a new colleague, manager of partner; we need to be aware of the fact that our Linked In profile, our telephone call or our Cv all project an image of what we are like. ‘Your reputation goes before you is another truth’ we should not ignore. To take action and make un examined decisions on those first impressions maybe to dismiss someone who can have real value in your life, to attach to someone who quickly turns out to be able to bring less value than you initially thought, or even worse who has a destructive and negative impact on you. Keep learning and keep challenging yourself to overcome your preconceptions and prejudices. And keep perfecting those smiles and shiny shoes… they may count for more than you think!